StaffCounter for Windows was updated and tested with Windows Server 2012/16 in Terminal Services environment. 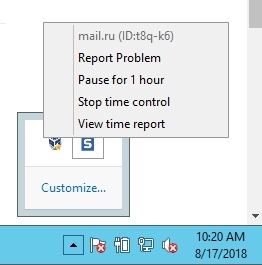 It automatically registers remote desktop users and connect user account with StaffCounter.net service account. Improved the remote settings configuring from the server. Now you can switch on and off all the settings without touching target computer. Just log in your virtual office on staffcounter.net server and open Settings page. The changes will be applied to the whole section. Try StaffCounter for free during 1 month for 10 employees.